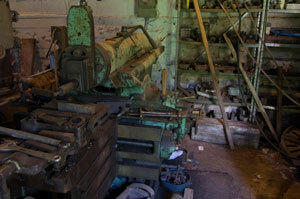 Historically, cutters for lathes were usually held in a lantern type holder. I believe the design predates even the usage of HSS or Carbide and is a design that worked when a lathe cutter was nothing more than carbon steel. 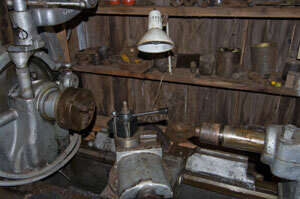 The cutter was simply a large piece of steel that fit in the lantern bracket. With the advent of High speed steel (HSS), only small pieces of it were used so cutter holder was developed to hold the HSS (and later carbide cutters). The down side of the lantern holder is that everytime you want to change cutters you must realign everything which can be tedious. The Aloris style post is completely different. You bolt solidly to the compound a postm and to that post you can clamp all sorts of tool holders via a clamping dovetail. To change cutting tools it takes only the flip of a lever to release the dovetail lock/clamp, and lift one holder off and drop another on. 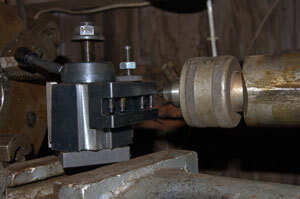 The post has dovetails on at least 2 sides so you can switch from turning to facing with the flip of a lever. Each adapter has an elevation screw so when you drop it on it will go to a preset height relative to the center of your work. This Aloris style tool posts, apparently were originally made by Aloris, but chinese knockoffs seem to dominate the market today. They are marketed in several sizes lettered "A" thru "D" with those down alphabet being the larger models. The larger models have a sturdier (larger) dovetail, and presuppose a greater distance between the top of the compound and the turning center. At least in the knockoff market the larger models become more expensive (surprise) and none are advertized as suitable for a lathe like my Sidney with a 25 inch swing. After looking at the price and fretting, I decided on the CXA size because it was a hundred dollars cheaper than the next size up and I figured I could adapt it to work. All in all I was correct. The CXA knockoff I bought came with a 3" square base plate which was simply not useful on my heavy pattern Sidney. What I needed for the Sidney was a 3.25" wide base plate. 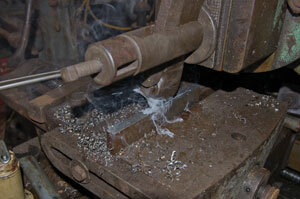 It seems that at least in my shop 3.25" is not a standard width for iron bar. I did however find some 3.5" material 1/2" thick which was close but needed narrowed. This was an obvious job for my shaper, so I whipped it into shape, and scraped the 3.5" wide base plate into a 2.25" plate that would fit in the compound. Presumably if you don't have a shaper there are other ways to make a wider piece of iron narrower, but since I have a shaper, that is the route I chose. Shapers excel in flatwork like this. 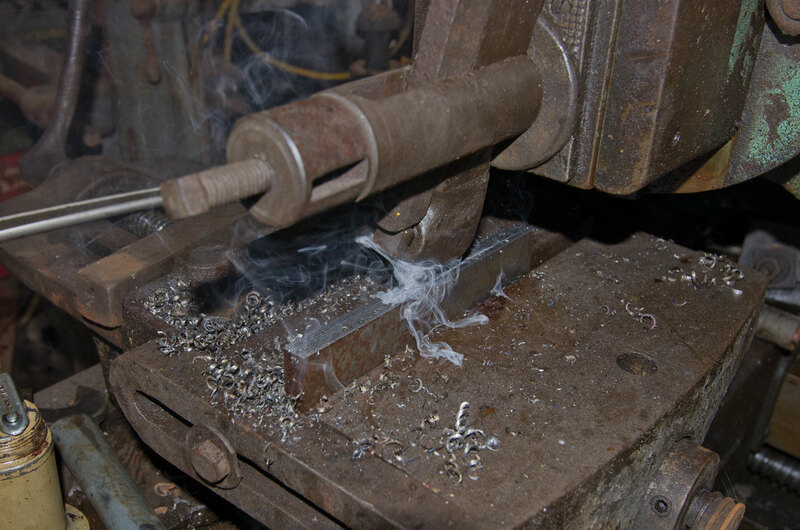 Since I have a long stroke shaper, I turned the vise the long way and scraped an entire 8 inch long piece of iron at once---making an extra base plate for my next project. After making the base plate I drilled and tapped it for the clamp bolt. I couldn't use the bolt furnished because it was too short as the second part of the adaptation was to put a 1.5" block under the tool post to get it high enough to reach the center. I used a piece of 5/8" all thread for the clamp bolt. 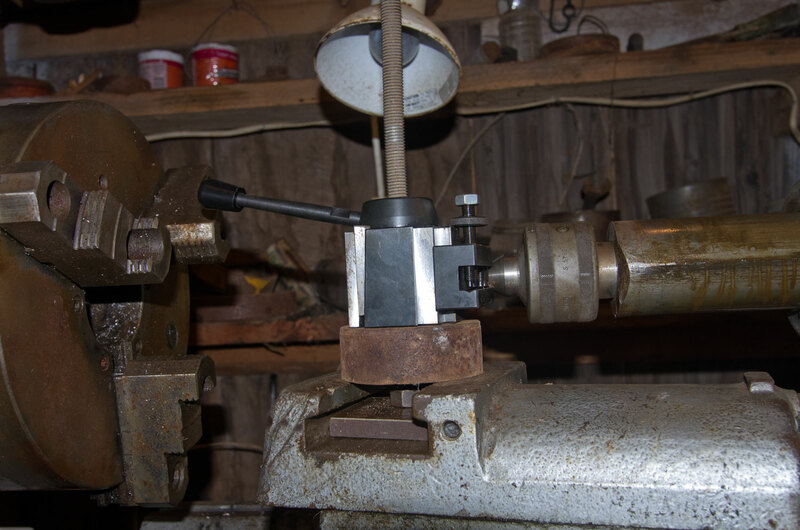 With those two adaptations---making a suitable base plate to fit in my lathes compound and adjusting the height with a suitable spacer, I was ready to go. thekit I bought comes with holders that will hold cutters up to 3/4" which can be held in a slot with some allen head set screws, and a couple adapters to hold round boring bars of modest sizes.